Kent & Curwen were about to re-launch after 90 years with a hugely anticipated new collection created and inspired by co-owner David Beckham and asked us to design and UX a best-in-class website. The brief was for a website that reflected the idea of a new generation lifestyle brand; re-embracing the heritage and lifestyle from sportswear tailoring. Most importantly, it had to work for users in the UK but also in Asia, where the brand has retained a huge presence throughout its 90 years. As a new collection with up to 200 SKUs, there was a particular focus on the depth of the brand, looking at how best to bring the heritage to life on the product pages without detracting from the collection itself. 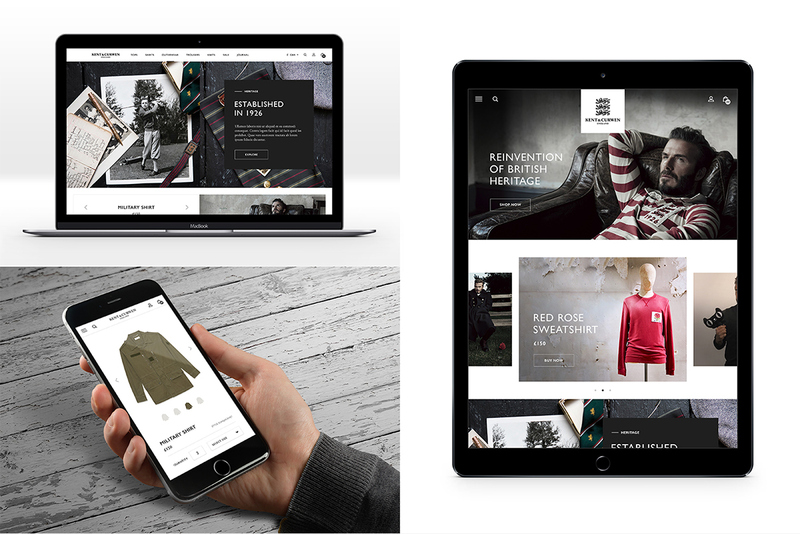 Using our expert knowledge of global eCommerce, we designed an experience that is fully optimised to represent the Kent & Curwen brand in a rich and engaging manner. We crafted a creative vision that binds the technical and design aspects of the site, pushing the limits of interactivity while ensuring everything was rooted in the possible across all devices and for all users, globally.